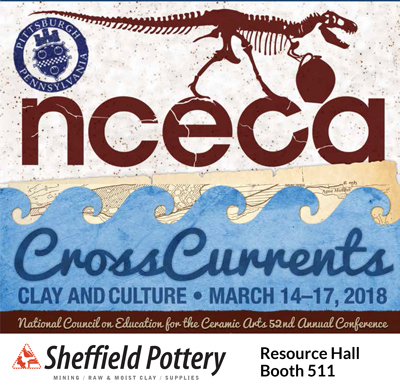 Find Sheffield Pottery at the NCECA and NAEA Ceramics and Arts Education Conferences ! We are looking forward to talking with you about clay, kilns, glazes and all of your ceramics needs. 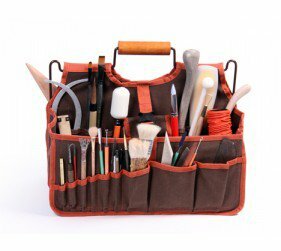 Sign up for our newsletter at the show to enter our free drawing for a Xiem Tool bag packed with hundreds of dollars of great clay tools ! We will also be offering tons of tools for sale right at the booth with great show discount prices including Xiem, Dolan, Dirty Girl, MKM, Groovy Tools, Wiziwig and more ! Stop by our booth 511. Sign up for our newsletter to enter our drawing for a Xiem Tool bag packed with hundreds of dollars of great clay tools ! We will be giving out special coupon codes for amazing savings on tools and glazes. Tuesday, March 13 – Setup 12 noon to 6p.m. Wednesday/Thursday, March 14-15 9a.m. to 5p.m. Friday, March 16 8:30a.m. to 4:30p.m. NCECA National Council on Education for the Ceramic Arts 2017 Conference Future Flux, Portland Oregon, March 22-25. Find Sheffield Pottery in the Resource Hall at the 2017 NCECA Conference. Portland Oregon March 22nd to 25th. This is the 51st annual NCECA Conference : Future Flux. A wonder chance to learn more about the state of the ceramics arts and science. Expand your knowledge and techniques at dozens of workshops and demos. The lectures and demonstrations feature many of the nation's top ceramicists and educators. Learn more about the conference at the NCECA web site Here. The NAEA conference this year was wonderful. We truly enjoyed talking with so many of you ! Learn more about NAEA and their upcoming events at their web site here.